On this day 400 years ago, Galileo demonstrated his telescope in Venice. 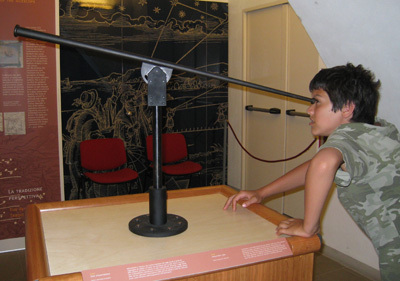 When we were in Italy last year, we visited the Museo di Storia della Scienza in Florence. 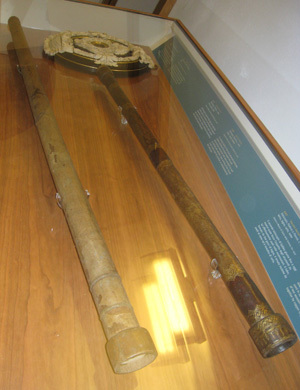 They have a number of his early telescopes on display. That’s the middle finger of his right hand in a reliquary. CNN says that they’ve found two more of his fingers.